I tend to look at renovations as more of a challenge then a task. How cheap can I do this? I don’t want to sacrifice quality or overall appearance, but I also don’t want to remortgage the house to get a room renovated. I would almost always spend the time instead of spending the money to get the job done. My kitchen is a great example. Here is before…. A kitchen renovation could cost tens of thousands of dollars, I mean, go and get a quote. New kitchen cupboards can cost $10,000 +. 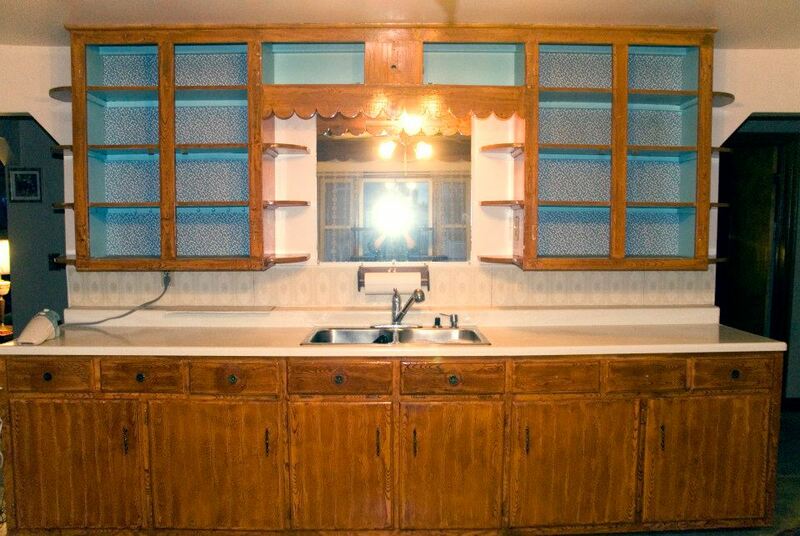 I didn’t want to spend thousands, but I didn’t want the kitchen to look like this. I needed new cupboards, countertop, sink, faucet, flooring, TONS of paint, etc, etc. And the total is…….DRUM ROLL PLEASE………..$835.00!!!!!!! We still have little things to get, like a new kitchen table, a runner for in front of the counter, a new fan, a valance for the window and some wall art, but all in all, I could live with the $835.00 kitchen forever! This is amazing. 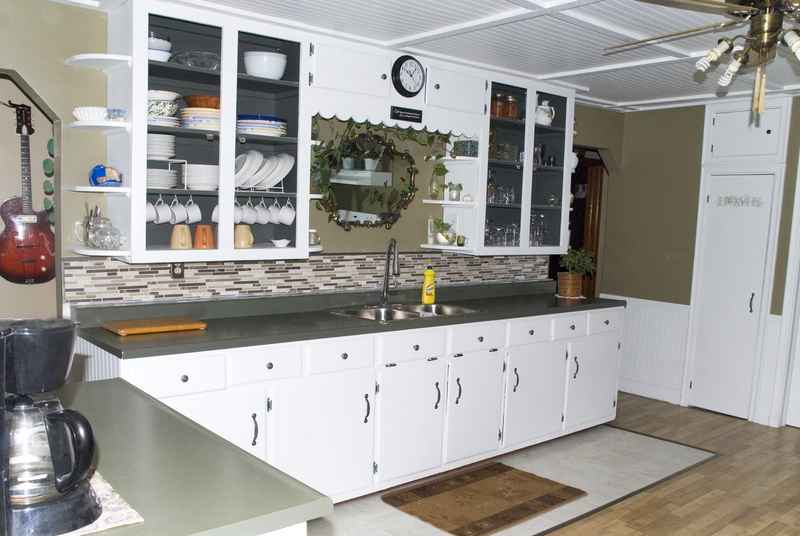 I’m finding myself addictively going through your past posts for smart reno ideas. Great posts! Looks Lovely! Can’t wait to get started on my own! Thanks for the inspiration! Looks fantastic! I keep umming and ahhing about what to do about our kitchen. Structurally it’s fine, but I dislike the green benchtop and green tiles we have! Desperate for them both to go! Just paint everything……cheap, easy and makes all the difference in the world! I tried painting tiles once in my old apartment (grey cupboards, black and white benchtop, pink tiles. Go figure). While it looked good for the pictures of the apartment when I sold it, I wouldn’t want to live with them!